Easter is almost here and it’s starting to warm up here in Niagara. This means FunZones are now going to take place outdoors. Easter weekend we are hosting 2 FunZone in Niagara. 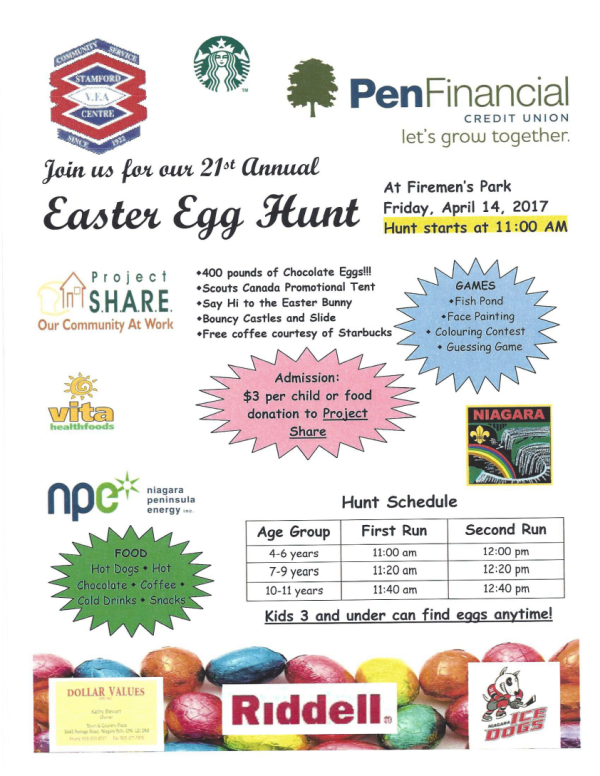 Come join us and various organizations for their Easter Egg Hunts and a fun day with bouncy castles and other great activities for kids! FunZone: Tickets available for purchase on site. It’s the 20th Annual Easter Egg Hunt hosted by the Stamford Centre Volunteer Firefighter’s Association. With 450 pounds of Chocolate eggs, meet and greet with the Easter Bunny, make sure to check this one out. Check out the poster below for more details or visit the Stamford Center Volunteer Firemen’s Association Easter Egg Hunt Page. FunZone Tickets: Purchase on site, cash only. 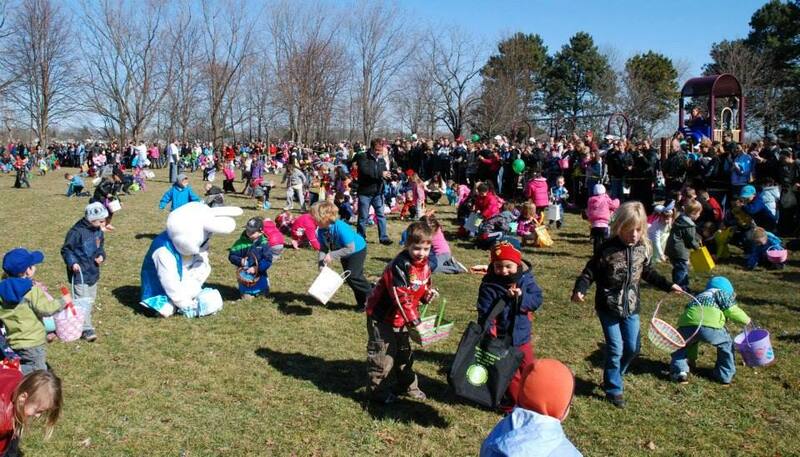 The annual St. Catharines Easter Egg hunt is put on by Jaycees of St. Catharines. There are over 50,000 chocolate eggs for children between the ages of 1 through 10 to find. There are lots of other activities to be found at the event including our FunZone featuring bounce houses, inflatables slides & more.